Join NYU for Bernie and NYU for Hillary on the eve of the New York primaries as they lay out the policies of former Secretary of State Hillary Clinton and U.S. Senator Bernie Sanders! 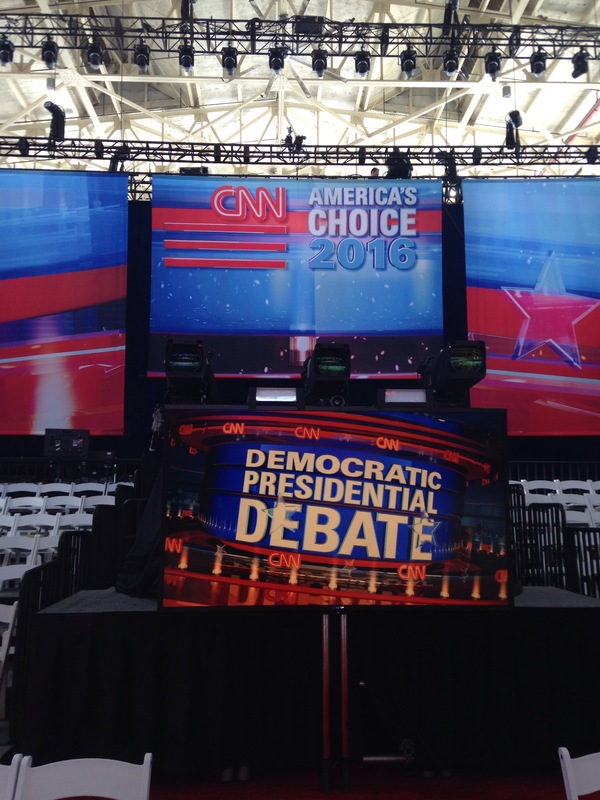 Theater in Asylum is hosting a staged adaptation of the 2016 Democratic Primary Debates. 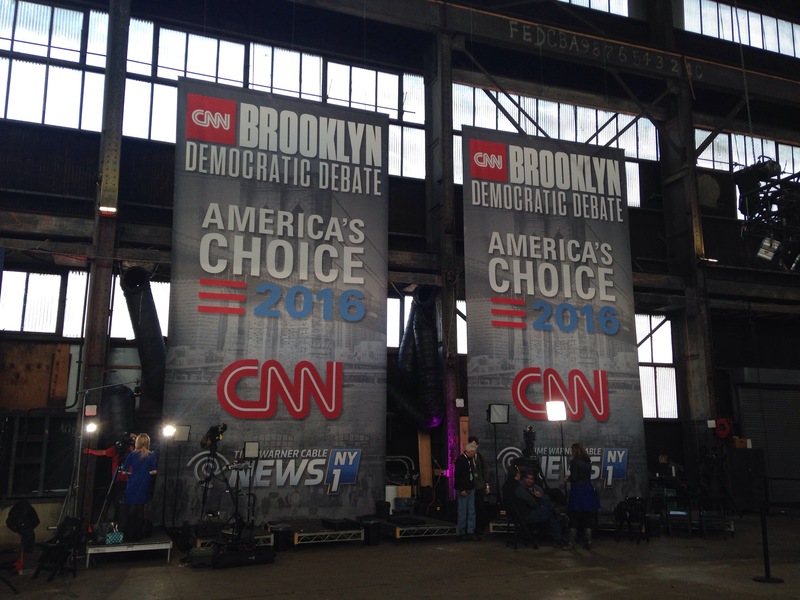 After two – loud, chaotic and political – hours of prepetation, the Brooklyn Debate is finally on. 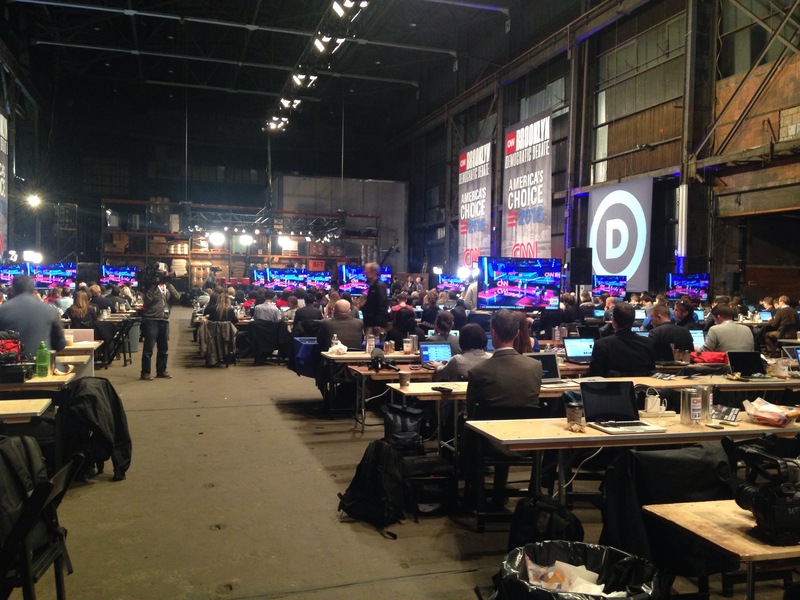 And while Hillary and Bernie get right into it on stage, the spin room is quiet for the first time today. In fact, it feels like we are all back in high school during a dictation. No time to wait for transcripts here. Even NBC’s Andrea Mitchell herself types along meticously. Don’t want to miss anything after all. 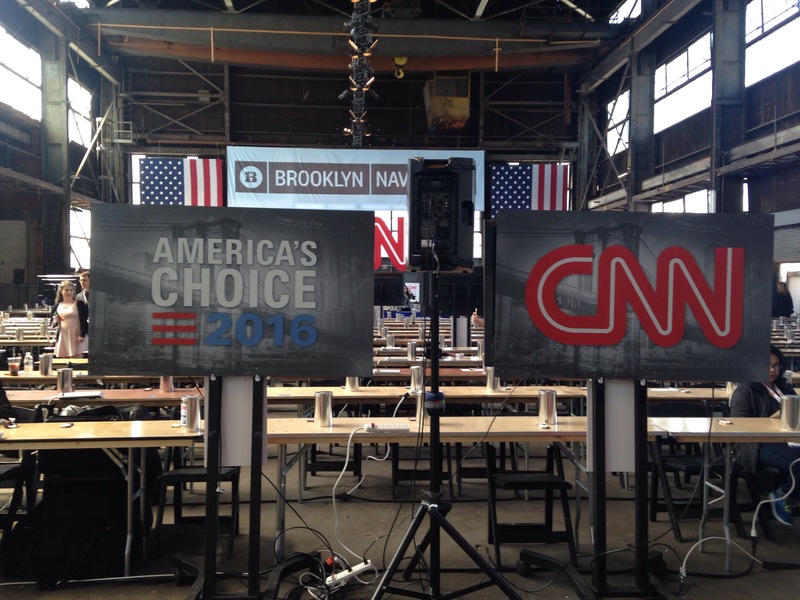 It’s two hours until the Brooklyn Democratic Debate, time for an update. The Hillary supporters got here at 1 already, so they scored the two main corners leading into the Navy Yard. 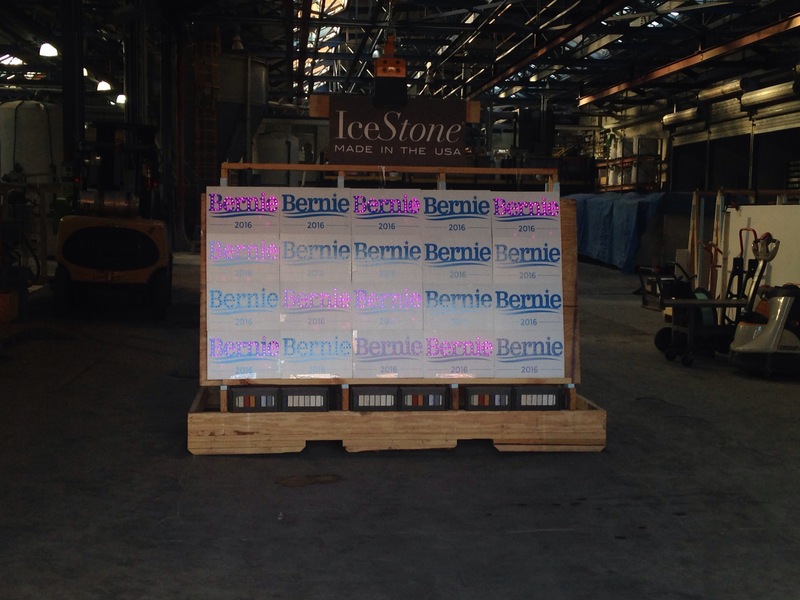 But Bernie seems to have fans inside the factories, like this stone company. 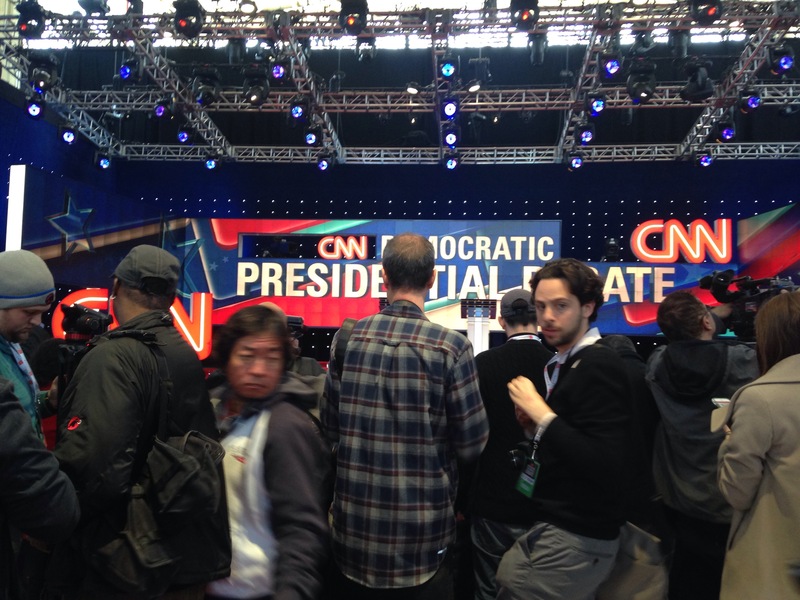 Meanwhile the spin room is filling up. 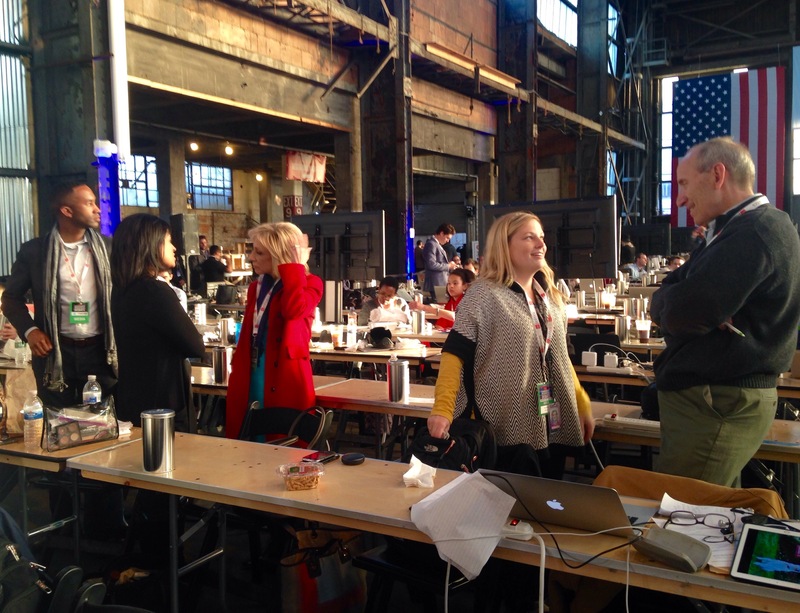 While we are waiting for the action to begin, there is plenty of things to keep 600 journalists busy. 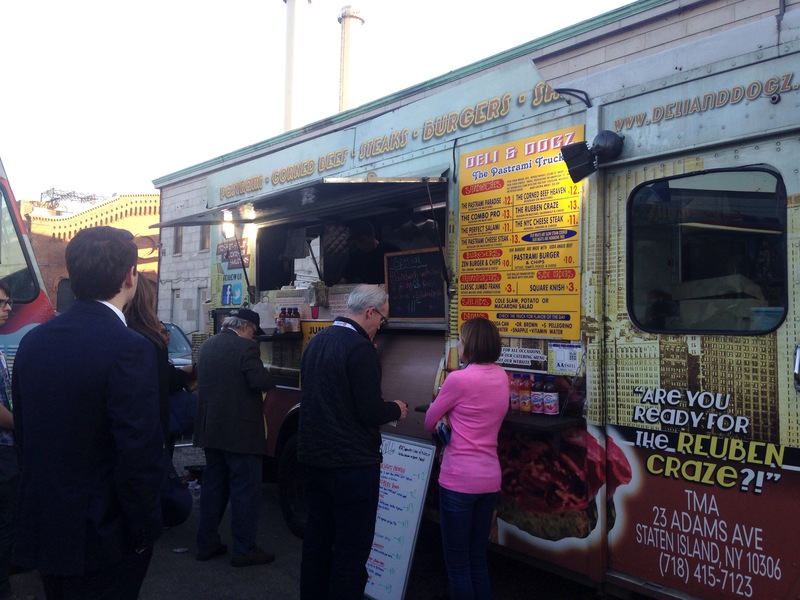 Like try out the food trucks. Or play celebrity spotting, journalism edition. 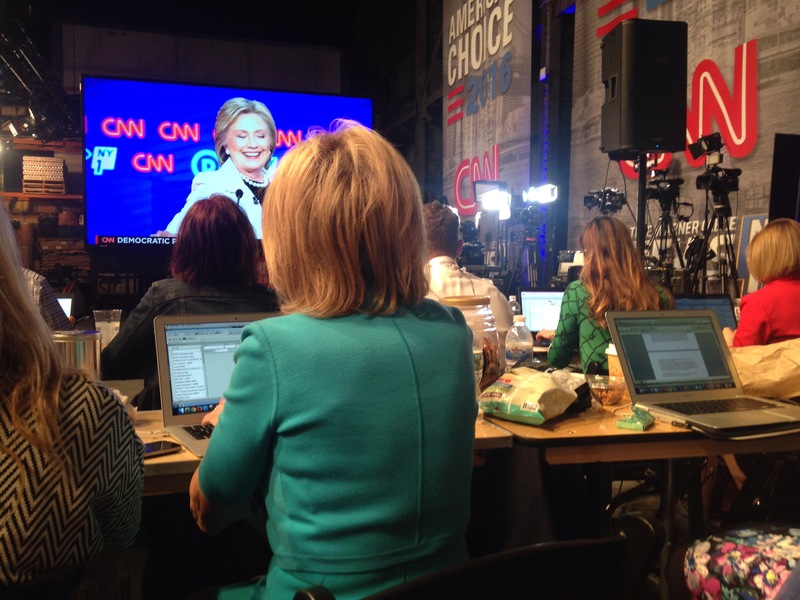 I am actually sitting only one row behind Andrea Mitchell. And then there is plenty of campaign surrogates to talk to. 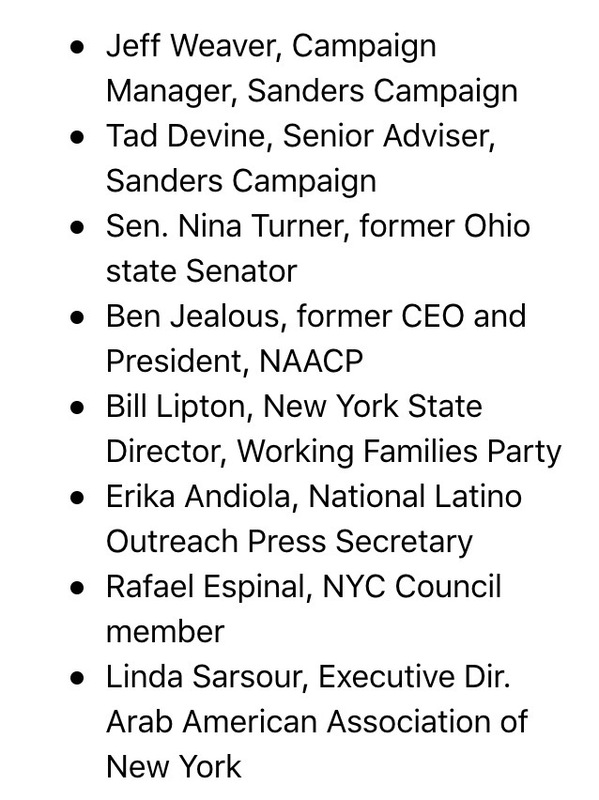 This is the list of everybody representing Sanders tonight. 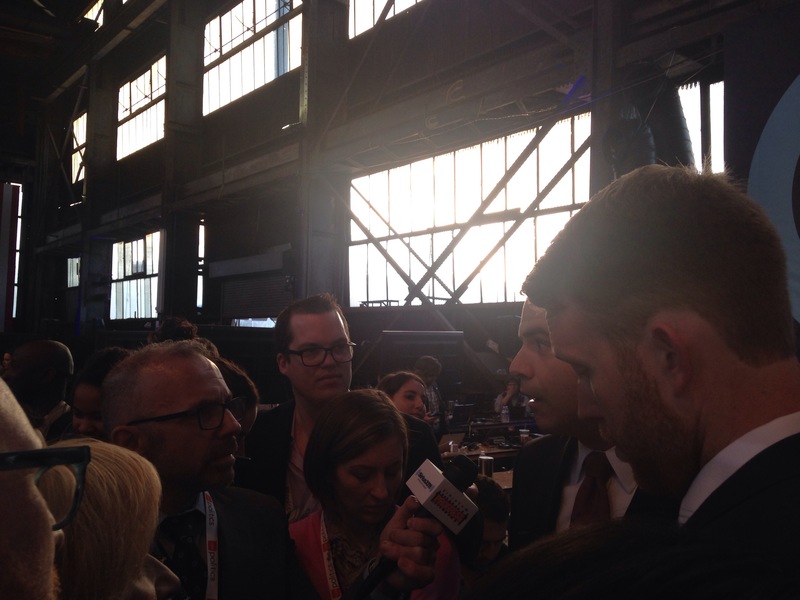 And here is Hillary Clinton’s press secretary trying to talk to everybody at the same time. He hopes the party will unite once all of this is over. 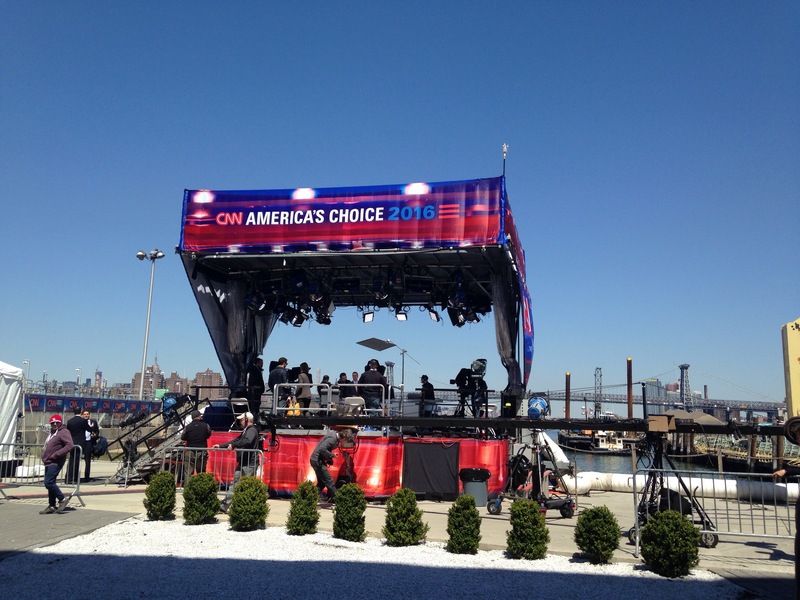 I just finished the press walk trough the set of tonight’s Democratic Debate. 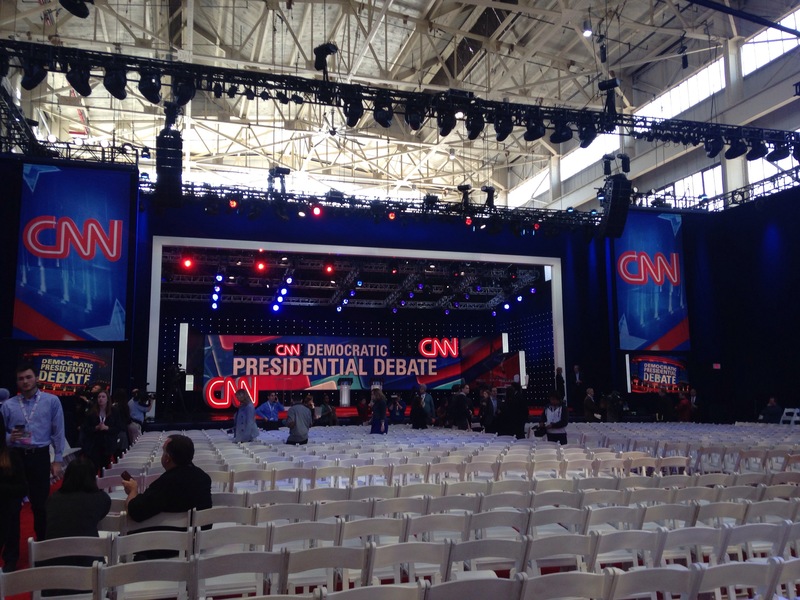 CNN says that – after the long back and forth between Sanders and Clinton- this is the shortest time they have ever had to pull off a debate and build a set. 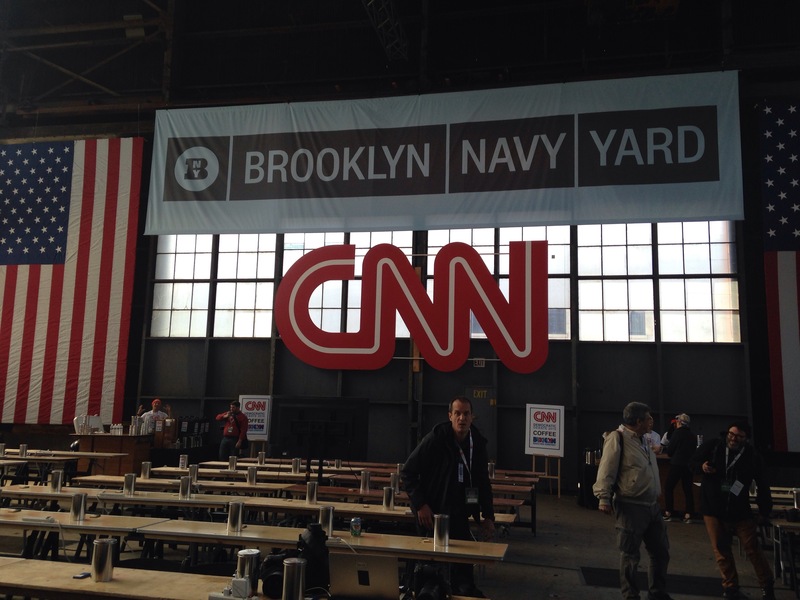 The set is housed in a glasshouse in the Brooklyn Navy Yard, where warships were build during WW2. Outside you have a beautiful view of the Williamsburg Bridge. 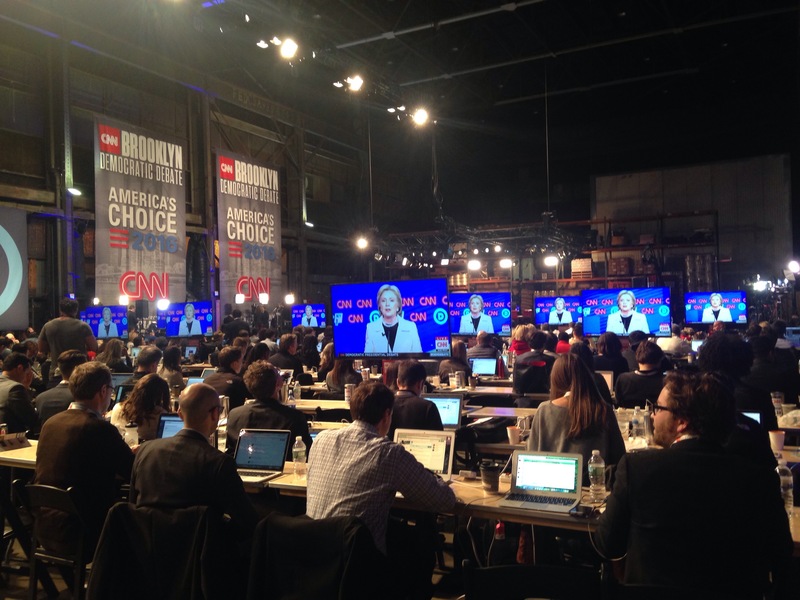 I just arrived at the press room (or better call it press factory) at the CNN #DemDebate. I will post here from time to time and also tweet troughout the day, follow me at @lillymmaier. 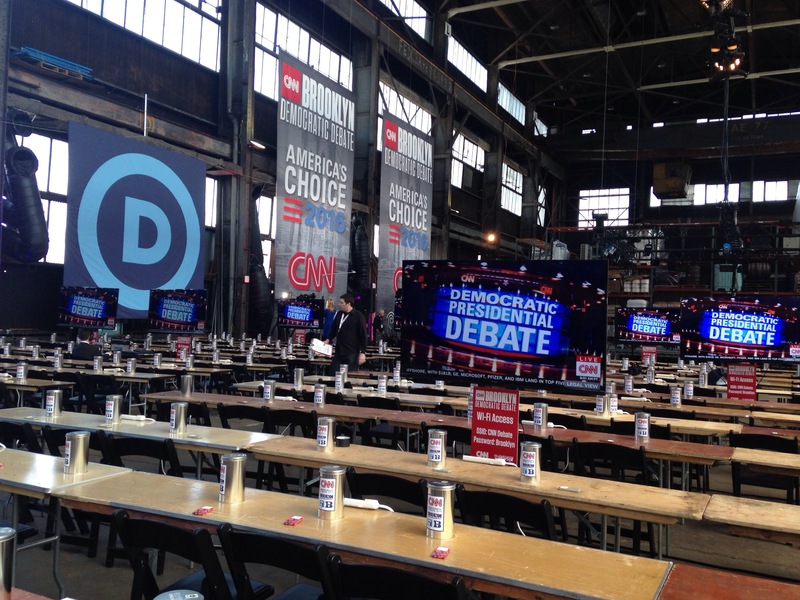 After very (very) long discussions and speculations, it will actually happen: Hillary Clinton and Bernie Sanders will spare off in a Brooklyn debate. Who knows, maybe they will even settle the question who the real New Yorker is? 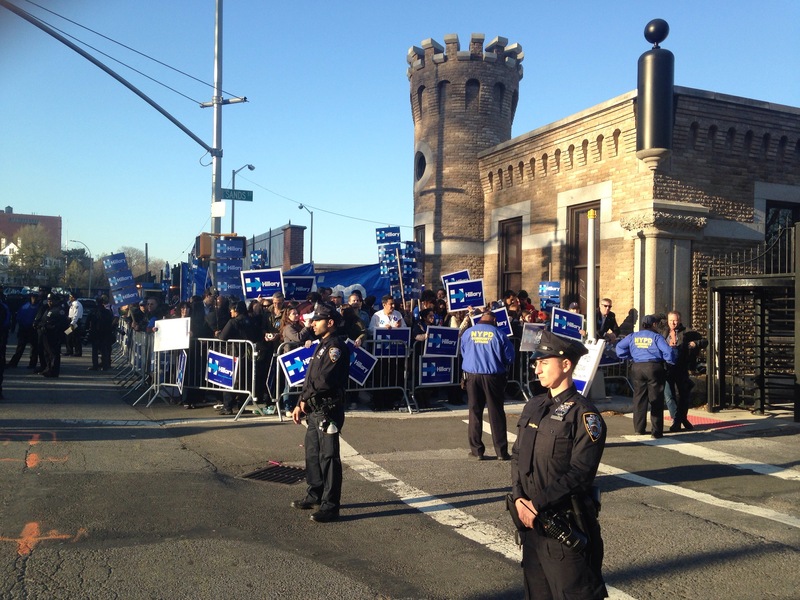 Sanders who was born in Brooklyn or Clinton who serves as the state’s senator and has her campaign headquarters in the borough? 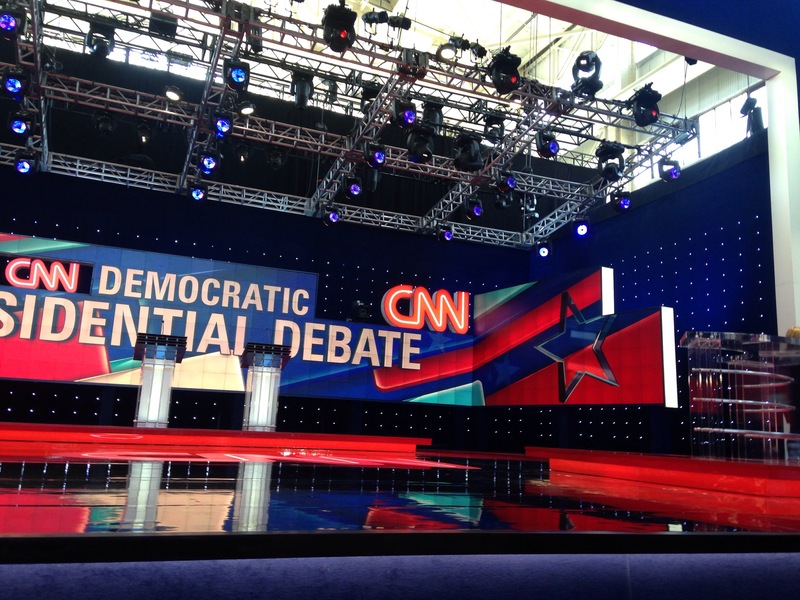 The political junkies from Drinking Liberally are hosting a Democratic Debate Watch Party this week.